Europe, Asia, America: international OEMs on all three continents have honored their supplier Brose over the last few weeks for its outstanding quality performance in 2013. The awards validate the mechatronic specialist's efforts to ensure consistent top performance worldwide and to be a stable and reliable partner for its customers around the globe. Brose's Czech location in Ostrava is the corporate group’s biggest production site. Its 2,500 employees were able to celebrate winning two quality awards at the beginning of the year: Ford presented them with the "Q1 Award" in recognition of their achievements in the closure systems production for the B-Max and Transit vehicle models, while the plant's seat system production received Volvo's "Quality through Excellence Award". But Brose Ostrava was not the only Brose site to win this quality award. The Swedish carmaker was also impressed with the performance of Brose’s production sites in Gothenburg (Sweden) and Hallstadt (Germany). Volkswagen Automatic Transmission Dalian (VW ATD) showed its appreciation of the “outstanding performance” delivered by Shanghai Brose Electric Motors (SBM) by awarding it the "Excellent Supplier Award of Quality 2013." 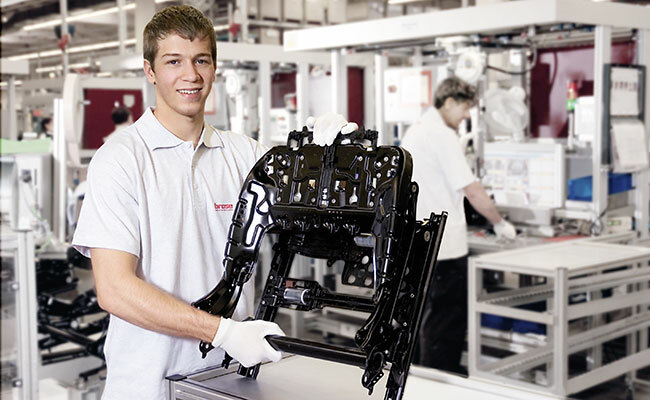 The joint venture of Brose and Dongfeng produced around one million drive train actuators for the customer in 2013. In addition, the FAW-VW joint venture presented the supplier's Changchun plant with the "Excellent Quality Award" in recognition of its high product quality and delivery reliability. General Motors was also satisfied with Brose's performance in 2013 and presented Shanghai Brose Automotive (SBA) with the "Supplier Quality Excellence Award". The plant supplies the US carmaker with window regulators. Nissan, the Japanese car manufacturer, has awarded the supplier a "Certificate of Recognition" for the smooth and professional set-up of spindle production in New Boston (USA). In July 2013, the site began with series production for the Nissan plant, located eight hours away.